The No Age Statement Debate: A Catastrophe Or Opportunity? A lot has been made of late of the the move by some distilleries to reduce or get rid of age statements on their whiskies. This has been common (and has been a necessity) for blended whiskies for pretty much all time, but single malts have almost always had an age statement. These are being phased out in some companies, generally the larger and more corporate ones, and it is causing quite a stir in whisky circles. 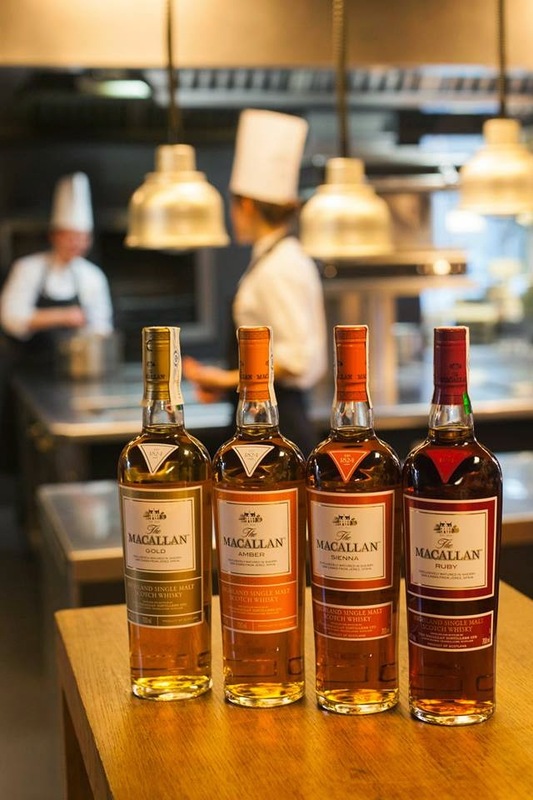 Macallan are a huge and very popular single malt producer - their whiskies are very collectible, highly priced and have generally been well rated. They are now phasing out their core range of 10, 12, 15 and 18 year old whiskies, and they are replacing these with new malts that are rated on colour from Gold to Ruby. The idea is that whiskies get darker as they age and the older the whisky the darker it will be - this will enable the company to alter the blend on occasion to use the best casks and keep the flavours consistent. This is the theory. However, many believe that this is a fabrication to enable Macallan to use younger malt in this whiskies to satisfy growing demand without using such old stock. My first thought, being the cynic that I am, was that they would simply use colouring agent (E150a) to colour the whisky, however according to the bottle the colour is natural. However, on the box itself there is a statement that the casks have been hand-picked to impart colour, flavour is mentioned as well, but it is very much an afterthought - it seems that all that matters is the colour, and you feel that perhaps casks are being picked for imparting colour above all else. I have tried the entry whisky of this new core range (Gold) and I'm sorry to say it was one of the least interesting whiskies I've ever had - there's a bit of zesty sweetness, some chocolate and nuttiness, but nothing fantastic, and a bit of raw spirit. This is a very bland, offend no-one, mass-market, take on all-comers, middle of the road, mass produced product. That is all fine and dandy and the world needs its Coca Colas, but single malts shouldn't really be that in my opinion. They should focus on the fact that they are such a handmade product and that the uniquely small stills impart this unique flavour that is quite fantastic. In summary, having no age statements enables companies to produce more mass market, cheaper, younger spirits, cutting corners and making it up with the use of marketing . However, on the flip side, not all companies are doing the same. 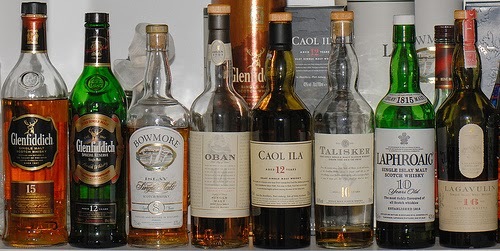 Some companies use the option to place no age statement on a whisky to tinker, experiment and have some variation whilst keeping a particular style of whisky in their range. Ardbeg Uigeadail and Aberlour a'Bunadh and Balvenie Tun 1401 are three such whiskies. These drams are fantastic, they incorporate the best parts of the whisky that the distillery creates, whilst mixing things up a little. a'Bunadh (£41.50 per bottle at Ocado) is produced by Aberlour, it is heavily sherried and is produced in batches, there is great variation between these akin to vintage variation in wine, but is greatly loved by whisky fans. Ardbeg Uigedail is a peated whisky that is then finished in sherry casks, this adds sweetness and is totally different to the other whiskies in the range (Ardbeg actually produce lots of NAS whiskies such as Alligator, Rollercoaster, Galileo, Ardbog and the upcoming Auriverdes). Finally Tun 1401 (various batches available on Amazon), this is a blending of a variation of casks by head distiller David Stewart, there have been about 9 batches so far and they vary greatly. 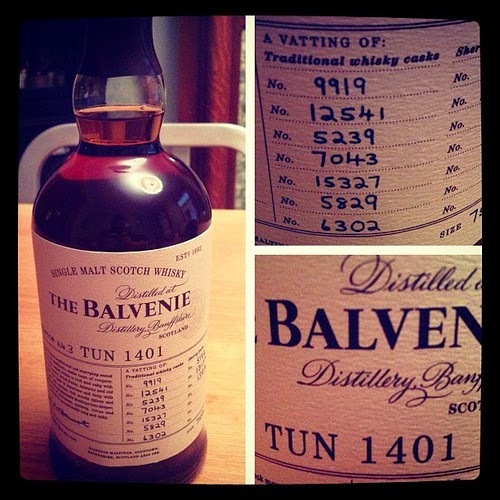 The Tun 1401 is greatly sought after and for many people is the best item in the Balvenie range. So, you can see that not putting age statements on whiskies enables distillers to tinker, they can create great whiskies, vary them and just experiment. This is a great thing and is greatly valued when done right, however, when companies do it to vastly improve their profits at the expense of the quality of their product and rely solely upon their brand and hope for ignorance from their customers it becomes an issue. Such actions hurt the prestige and quality of whisky as a whole and chips away at the integrity of the product. Thankfully I don't think this is a practice that will become the norm anytime soon, the importance of age is too ingrained in the psyche of purchasers and is of huge importance to malt dependents.